When you read your company’s mission statement, does it tell your employees what they should care about or is it part of every department strategy, operational detail and customer experience? 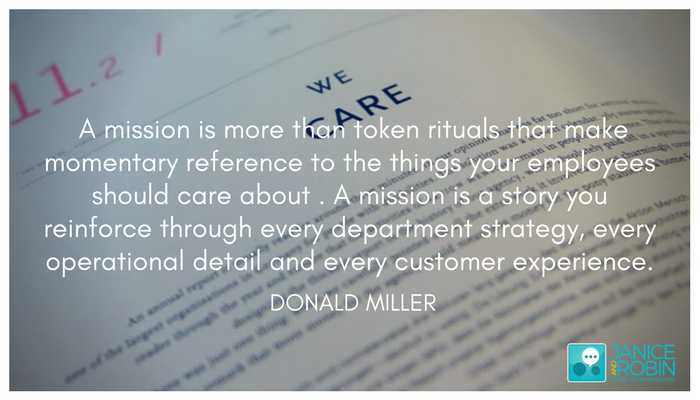 A mission statement shouldn’t be something that hangs on a wall that you include in your annual report. Having a clear message, a clear concise statement that each and every single member of your organization can focus on, helps to ensure that your whole team understands your mission and can incorporate that into each day.